From the very beginning, the intention of the smart car was to be an electrically-powered urban mobility tool – an environmentally responsible, customizable, and affordable car for two. In 1981, Mercedes-Benz introduced their NAFA (“Nahverkehrsfahrzeug”, or Local Transport Vehicle) concept car. While tiny, it did not meet current safety standards, and the project was shelved, but it got engineers thinking. In 1992, M-B and Swiss watchmaker Swatch entered into a joint venture to produce small urban cars powered by electricity. In 1994, the Eco-Sprinter (van) and Eco-Speedster (car) concepts were introduced. In 1996, an early example of what was to become the smart (swatch mercedes art) fortwo was shown at the Atlanta Summer Olympics, and in 1998, fresh versions of the two Eco-models were shown at the International Motor Show in Frankfurt. 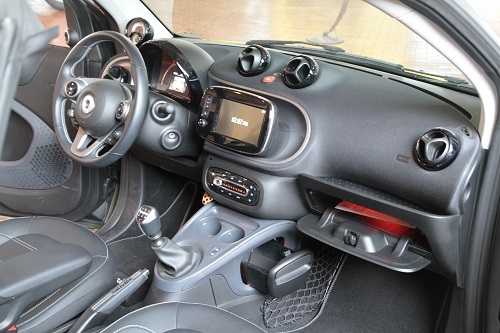 In 1998, the smart fortwo coupe was offered, powered by gas or diesel; the electric version did not arrive until years later, first shown at the 2006 British Int’l Motor Show in Birmingham. 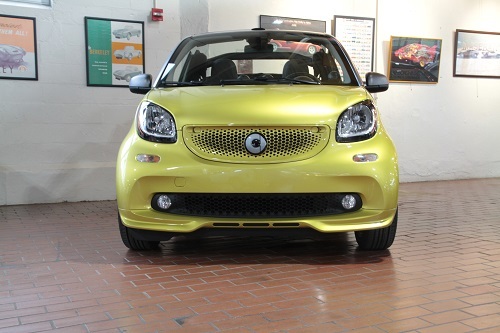 2007 saw the smart brand arrive in the USA, with Penske Automotive Group obtaining exclusive distribution rights. 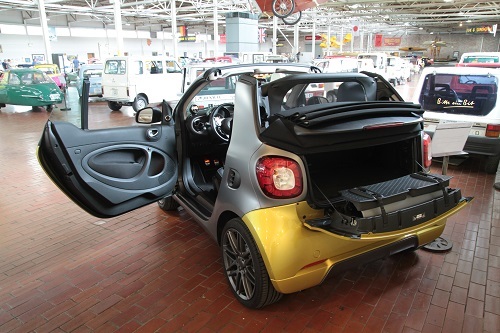 Finally, in 2016, smart announced that for the 2018 model year, all smarts – ForTwo, ForFour, and Cabrio, would be fully electric. 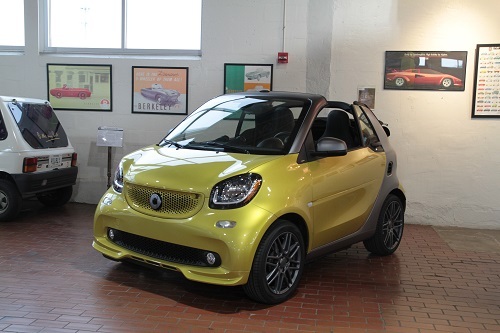 Smarts are perfect for urban commuters, with dent-resistant composite body panels, a “Tridion” honeycomb-steel safety structure, electric-power steering, and a remarkably small 22.8’ turning radius. The smart Brabus Cabrio seen here is a very special car – it is “one of one.” Special-ordered by the product management team of Mercedes-Benz USA, this is the only Brabus produced with a 5-speed manual transmission. DCT (dual-clutch transmissions) are the only published transmissions available for the Brabus models worldwide. Brabus is a German tuning firm that contributed styling, suspension, and performance enhancements used in this package. This car was used by M-B USA for media and customer events, as well as being featured on their website and social media outlets. 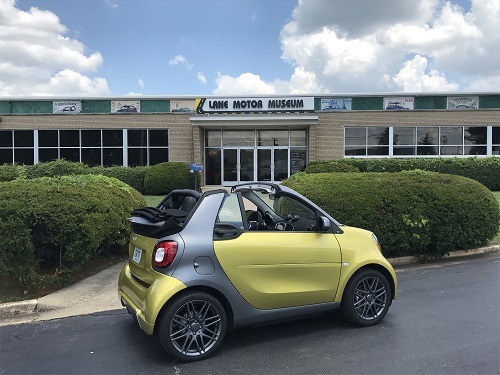 It is also one of the last gasoline-powered smart cars, as smart is transitioning the entire product line to electric-only power.